From the dazzling boutiques on Avenue Georges V in Paris to the most humble of brocantes stuffed with dusty must-have antiques in a sleepy Dordogne village. From out-of-town, bargain-filled factory outlets to classical arcades in elegant cities, France offers the holidaying shopper a vast range of opportunities. A trip to any of France’s larger towns and cities provides the chance to splash some cash. Head to Bordeaux, Toulouse, Nice, Cannes, Montpellier and Lyon and you’ll be spoilt for choice by the departments stores, specialist local producers and suppliers, and high street fashion and technology chains. Places such as Nantes boast famous old arcades – construction on the city’s beautiful Passage Pommeraye began in 1840 – in which to browse for local goodies. Factory outlets are hugely popular in France and most have huge retail parks or centres commercials, where you can stock up on sportswear, DIY goods and much more. If it’s a fashion bargain you’re seeking, head to one of the big-brand outlets, such as McArthurGlen at Roubaix near Lille and Troyes in Champagne, just 90 minutes or so from Paris. 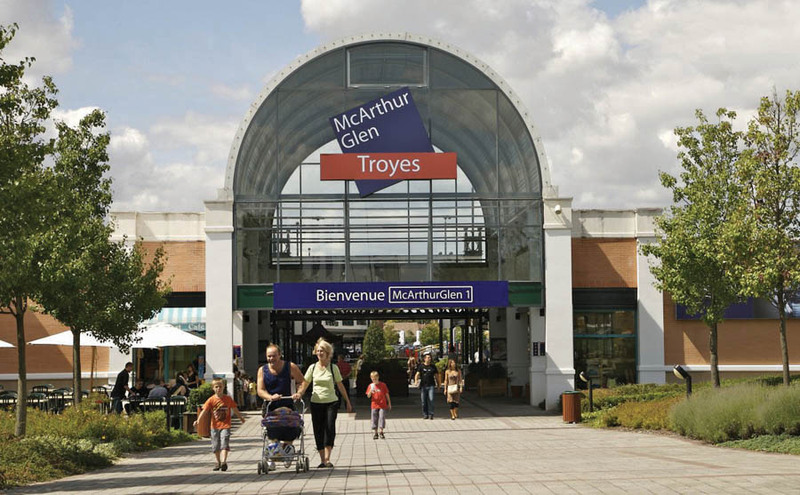 Troyes also has Marques Avenue stores, dedicated to fashion and homewares, while near Strasbourg you can find Roppenheim Style outlets. Cité Europe in Calais and Euralille in Lille offer mall-based treats in the north, while within the Disneyland Resort near Paris there’s La Vallée Village. No trip to Paris is complete without ducking into the historic department stores Galeries Lafayette and Printemps, not to mention the cool boutiques in areas like the Marais. The stylish new Bercy Village, sited in a series of converted 19th century wine warehouses, also provides chic shopping ops. 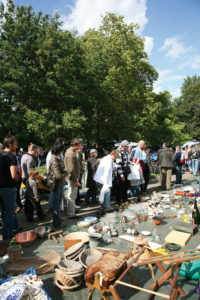 Also on a local level, antiques sourced in vide-greniers (attic clearance) and brocantes (public sales) in France are always far cheaper than the same items you might find in a vintage emporium at home – keep an eye out for roadside signs! Luxurious household items such as vintage embroidered bedding are best sourced in situ, where they can be had at ‘flea market’ prices, as can lovely old glassware and café paraphernalia. Some towns, such as Isle-sur-la-Sorgue in the Vaucluse, pretty Pézenas in the Hérault and the Saint-Ouen district of Paris, have more serious antique sellers plying their trade – these places are great for browsing and also of interest to serious furniture buyers and art lovers – while Lille has its epic annual antiques fair, the Braderie. Every French region is fiercely proud of the goods it produces, from comestibles to specialist craft and skilled tradesmen’s products. It’s best to do your research before heading off so that you can make a beeline for the most prized regional products. For example, no visit to Aveyron is complete without hunting out some of its prestigious hand-crafted Laguiole knives, while exquisite gloves from Causse Gantier are a must in Millau. Porcelain fans heading to Limoges in the Haute-Vienne or Gien in Loiret have no excuse not to stock up. And then there’s Parisian macarons, lace from Chantilly and Bayeux, silk from Lyon, the perfumes of Grasse, raclette sets from Alsace or the Alps, hand-crafted leather boots from Le Chameau in Normandy and Le Creuset cookware from the outlet at Fresnoy-Le-Grand in the Aisne. Finally, a word about the ‘high street’ sales in France, which are called les soldes. Starting in January of this year, the way that the national soldes are organised has changed, for the better! The annual sales used to be five-weeks long in the summer and the same during the winter, plus two floating weeks. The latter have been discontinued and now each of the annual sales periods has been extended to six weeks. 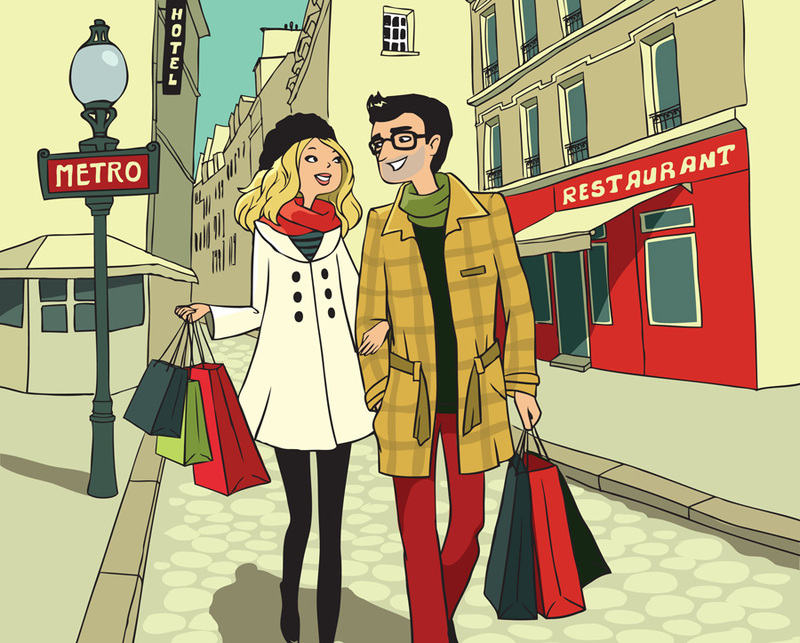 Happy bargain hunting, wherever in France you shop! McCarthurGlen: Outlets at Troyes and Roubaix. Marques Avenue: Big brands at discount prices in northern France and at Valence. Department stores: Locations across France. Cité Europe: International shopping centre next to the Channel Tunnel. Bercy Village: Shops and restaurants in old wine warehouses à Paris. 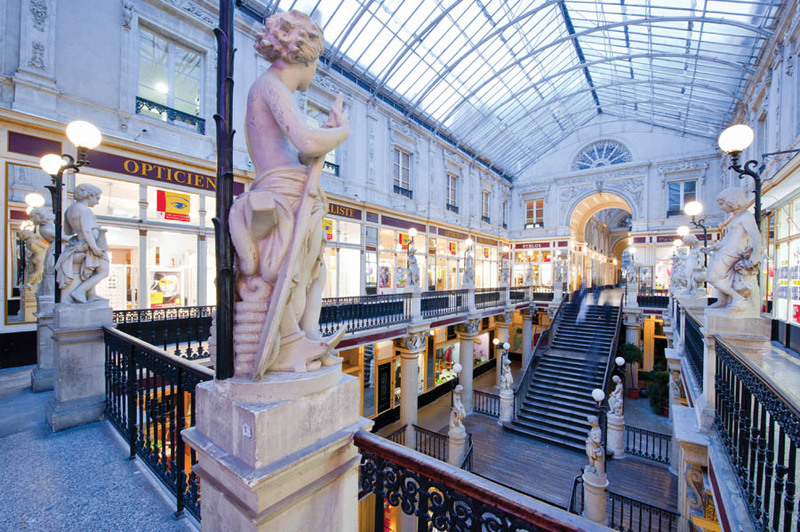 Passage Pommeraye: One of France’s finest old shopping arcades, in Nantes. Get planning! 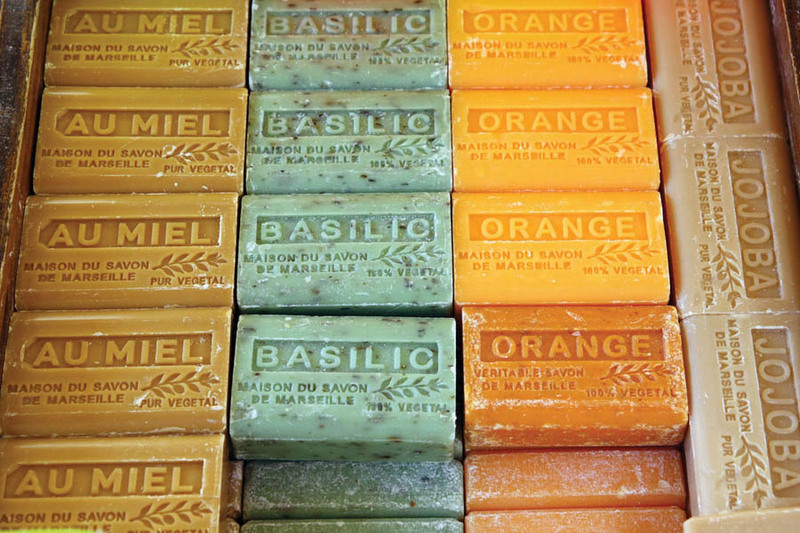 Scope out shopping trips to Toulouse, Bordeaux, Montpellier and Lyon. The vintage Isle: Antiques galore on the Isle-sur-la-Sorgue near Avignon. Antiques mecca: Pézenas in the Hérault. Fragrant Grasse: Visit such major parfumiers as Fragonard at this town in the Alpes-Maritimes département.